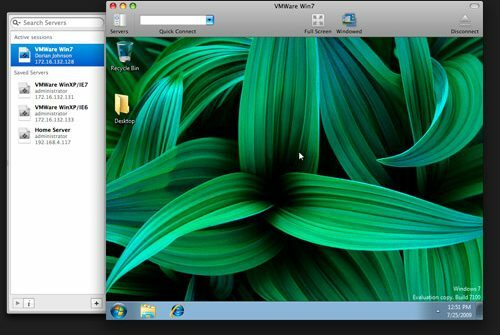 To connect to your windows vps using remote desktop protocol (RDP) on your MAC computer, you can use this great app, CORD for free. Macs interact well with Windows, and with CoRD the experience is a bit smoother. Great for working on the office terminal server, administrating servers or any other time you’d like your PC to be a bit closer without leaving your Mac. CoRD allows you to view each session in its own window, or save space with all sessions in one window. Scale session windows to whatever size fits you—the screen is resized automatically. Enter full screen mode and feel like you’re actually at the computer. The clipboard is automatically synchronized between CoRD and the server. You can save your remote desktop login details in CORD so you wont need to insert it every time.